Until recently national initiatives for sustainable agriculture in France have had little following. 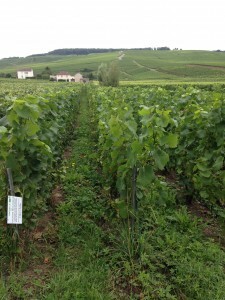 So why did the people of Champagne invest so heavily in their own sustainable labelling? And can they make the label meaningful? 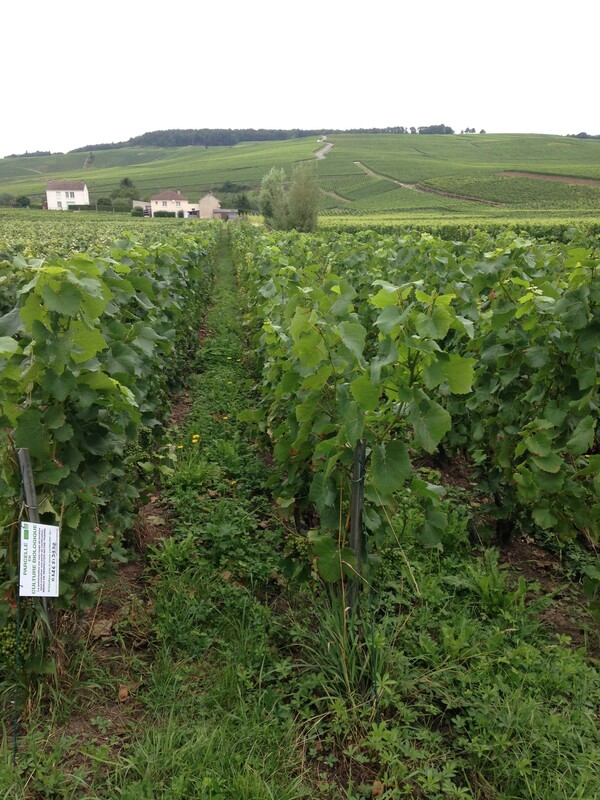 On May 12, 2014, The Champagne Bureau launched its own “sustainable” winegrowing certification under the VDC (Viticulture Durable en Champagne) label. Champagne thus became the first French wine region to create its own sustainable label – even if France as a whole had launched its AR (Agriculture Raisonné) label in 2002, and the current HVE (Haute Valeur Environmentale) label in 2009. In order to understand today’s situation it can be helpful to look at the past. After the Second World War, France embarked on an industrialized agriculture policy. It was imperative to produce as much as possible to rebuild the country’s economy. Champagne was no exception; between 1950 and 1980 the surface area planted with vines more than doubled, increasing from 11,000 hectares to 24,600. However, in the same period, champagne sales had multiplied by five. Yields thus had to drastically increase to keep up with the demand. The inter-professional research center of the Champagne Bureau (a.k.a. CIVC or Comité Interprofessionel du Vin de Champagne) focused on developing ways to guarantee high enough yields to boost economic growth. In their own vineyards they developed and tested higher producing clones and fertilizers with a high nitrogen content, as well as different herbicides and pesticides. Several times a year, technical advisors would tour the viticulture villages in Champagne to share their results with the growers, promoting different chemical products which would guarantee the required harvest. Since most growers sold their grapes by the kilo, it was obviously in their best interest to follow this technical advice and produce more. 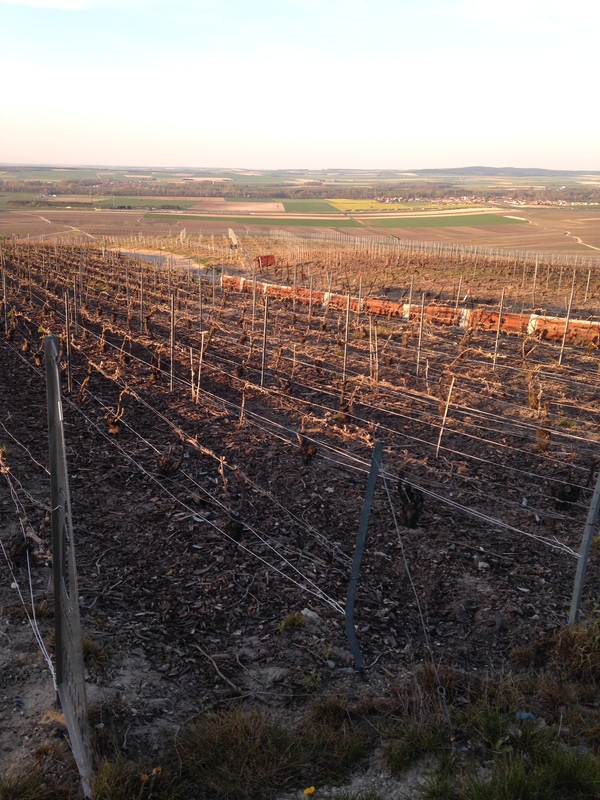 Things started to change slightly at the end of the 1990s, when erosion became a real problem for Champagne’s sloped vineyards and more than 15% of the vineyard area required costly rebuilding works. Furthermore, pests became immune to some of the chemicals and the increased application doses left dangerous molecular traces in the finished wines at the same time that the European Union started to pay attention to chemical residues in agricultural products. This is why in 2001, the Champagne Bureau embarked on its Viticulture Raisonné (VR) journey. The aim was to find a more environmentally friendly way of farming grapes without jeopardizing market demands. Little by little things started to change even though some growers showed a lack of enthusiasm about leaving trusted chemicals behind. But the research team of the Champagne Bureau persisted by enforcing change. They took the most dangerous products out of circulation and they implemented stricter spraying policies and licenses to buy and apply the chemical products. In addition, grass was reintroduced in the vineyard by making it mandatory at least around the borders of each plot. Organic fertilizers began to replace chemical ones in the supply stores of the region. During this period a waste water management and recycling system was also introduced and later enforced. Technical teams continued their rounds of the villages, but now their mission was to convince growers to engage themselves in the VR policies – and to go further than the minimum requirements – by also offering training courses and sharing knowledge. In the aftermath of the 2008 economic crisis the pressure on champagne supplies eased while at the same time there seemed to be a greater demand for a healthier wine. The large Champagne Houses understood this and increased environmental efforts in their own vineyards. When the France’s national HVE label was introduced in 2009, several Houses applied for certification to show their commitment to the environment. With names like Bollinger, Moët & Chandon, Veuve Clicquot, Krug, Philipponnat & Duval Leroy setting the example, one can easily see how the idea of Champagne’s own VDC (Viticulture Durable en Champagne) certification process came about in 2014. So what exactly is included in the certification? All in all the certification is very similar to the national HVE – in the sense that a company as a whole is certified. But it differs from current organic and biodynamic certification where the main focus is the vineyard; Champagne’s VDC includes other environmentally friendly measures such as water and waste management, for example. The VDC goes further, also incorporating protection of the Champagne landscape in line with its UNESCO application for World Heritage status. All in all there are 125 criteria points to the certification, of which 60 points are critical, 31 are major and 34 are minor points. To receive certification a company needs to comply with all 91 critical and major points and can only deviate by maximum 14 minor points. The certification cycle takes 3 years with an audit every 18 months, and audits have to be kept up if one wants to maintain the certification. Since VDC certification is roughly based on HVE criteria, people can apply for both at the same time. The certification is recognized by the French government as a standard of an environmentally friendly way of farming, which adds to its status as legitimate quality measure. At the moment only 15 producers have applied for the VDC certification – this is a very small number when we know that Champagne has more than 15,000 winegrowers and 300 Champagne Houses. However to put things in perspective, only 30 companies have applied for certified HVE status since 2009, and there are only 100 organic producers in the Champagne region. Furthermore, if we make the comparison on surface area, the situation looks a bit better as there are about 2000 hectares certified VDC today (5.88% of the total production area) compared to just over 400 hectares which are certified organic. This is because 13 of the 15 certified companies are quite large Champagne Houses with substantial vineyard holdings, e.g., with just over 1000 hectares (around 2,500 acres) Moët & Chandon is the biggest vineyard owner in Champagne. At the beginning of this year, at the St Vincent de l’Archieconfrerie de la Champagne, the Champagne Bureau’s new General Director, Vincent Perrin, painted a grim picture of Champagne’s future without sustainable grape growing and winemaking. 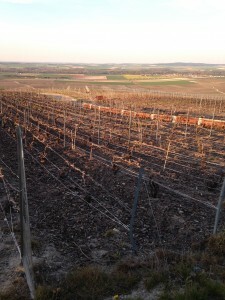 He stressed the fact that the mean temperature here has increased by 1.8˚C (3° F) and that further temperature gains would endanger the “typical character of champagne.” He also proclaimed 2015 to be the year of sustainable winegrowing with the aim to convert all the companies in Champagne, either through VDC certification, or through a self-auditing system (which will be the case for most companies), or with organic certification. As the self-auditing system remains a grey area with very little traceability, the current objective is to convince as many vignerons as possible to participate in a certification process. And it seems that many are considering it. 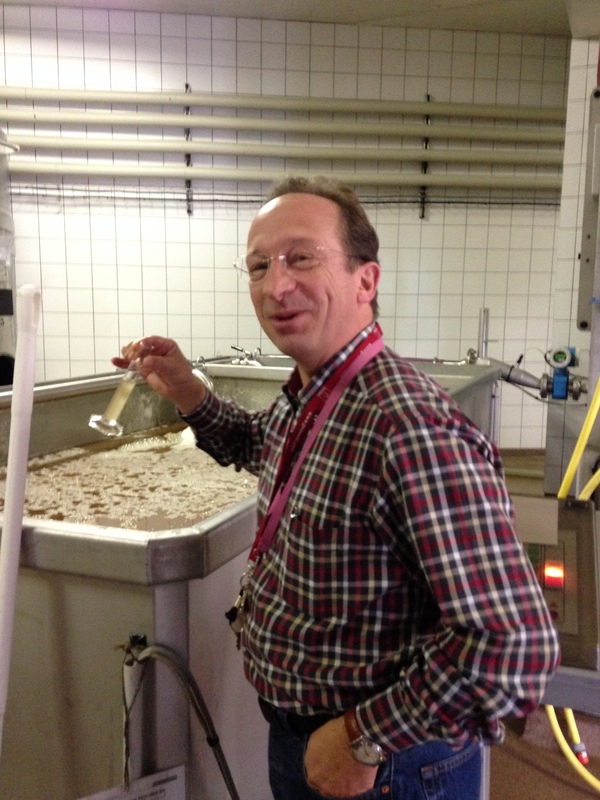 For example, Jean-Pierre Vazart of Champagne Vazart-Coquart mentioned to me that he will apply for certification this year when he renews his HVE status. He believes most of the other HVE certified growers will do the same. Etienne Calzac, a winegrower from Avize, who is currently not HVE certified, has also started the process and is waiting for the first audit to see what he will need to change. 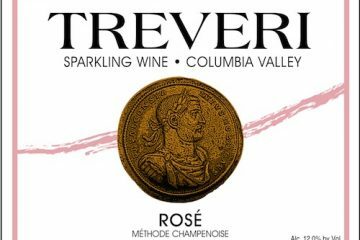 When asked why he is converting he answered: “I pretty much comply with all the regulations, so certification is the next logical step, especially since this certification can be presented on my champagne label.” Promotion is on the mind of many people toying with the idea of certification as they can see customers paying more for environmentally friendly products. More importantly, Champagne Houses have expressed an interest in supporting the certification of their suppliers by paying a higher price for the grapes – in the same way as this is currently done for organic grapes. 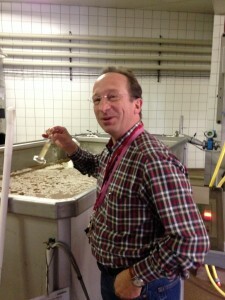 Charles Philipponnat from Champagne Philipponnat confirmed that “VDC certification is ultimately a quality symbol. We are certified ourselves and we understand certification requires more work in the vineyard, so in a way it would be logical to acknowledge this in the grape price.” However, not everybody agrees with this reasoning as they feel the grape price, which is roughly between €5 and €6 per kilo ($5.50-$6.60 for 2.2 lbs. ), has currently reached its peak. Looking into a crystal ball I see VDC becoming more popular than either HVE or the AB organic label in the region. Grape value will play a role, but it may essentially work in reverse with VDC certification maintaining current grape pricing so the growers with uncertified grapes are paid less. 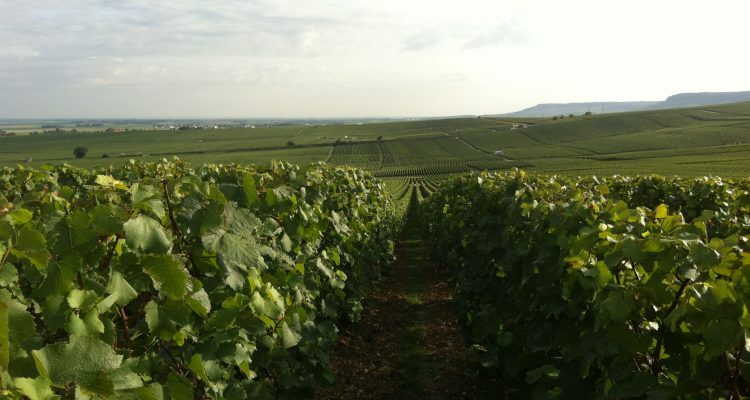 What is certain, however, is that the Champagne region is committed to making a conscious effort to become more environmentally friendly as a whole, and I would not be surprised if it were to become the ‘greenest’ wine region of France in the next few years. Quite a feat if we remember that not so long ago it was one of the most polluted regions of the country.